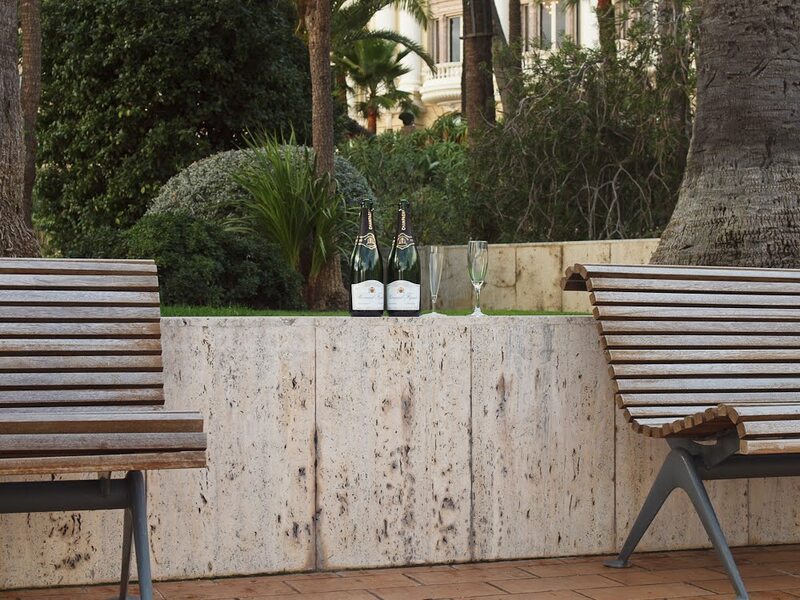 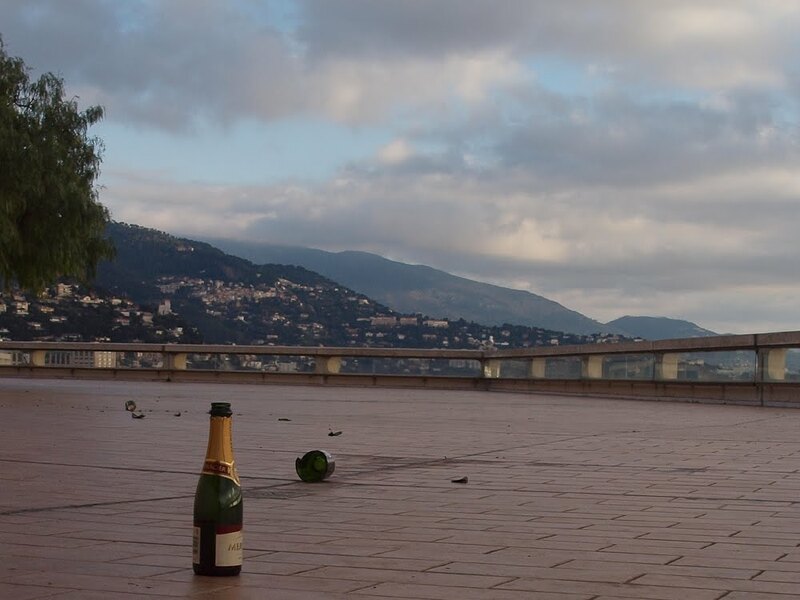 The morning after New Year's Eve in a normally pristine Monte Carlo - broken champagne bottles on the terrace below the Casino. 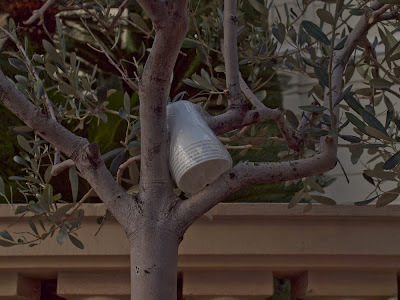 And below - well some people were obviously reduced to paper cups! 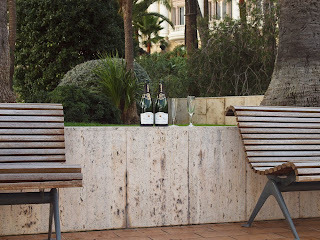 These had been stuck in an olive tree outside the Hotel de Paris.